Bloomin' Apron Pattern from The Paisley Pincushion. Make sure to see all of our Apron Sewing Patterns! 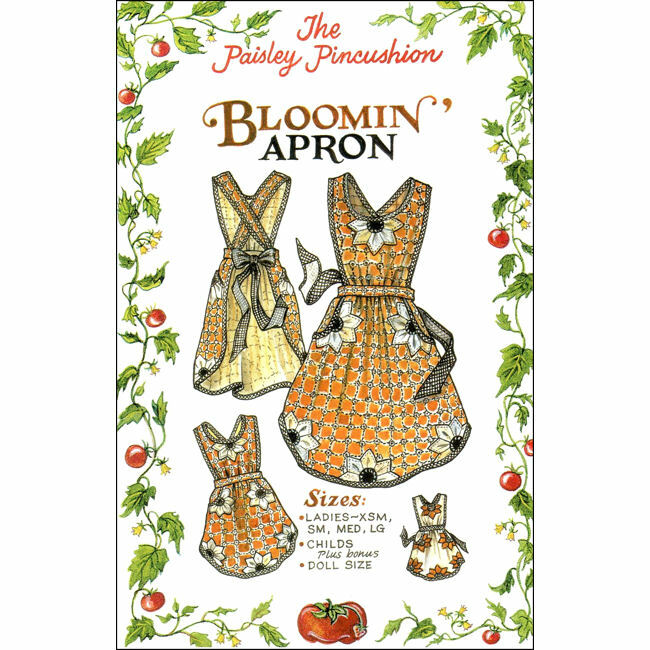 The Bloomin' Apron Pattern from The Paisley Pincushion is a retro style apron design that will remind you of yesteryears. This apron sewing pattern includes Ladies Sizes: XSmall, Small, Medium, and Large. It also includes a Child's Size and 18" Doll Size too! Includes full size pattern pieces.